The European Union's conclusion that a potentially dangerous weed-killer was in fact safe to sell was based on scientific evidence written by manufacturer Monsanto, an investigation has revealed – just the latest example of the chemical giant insidiously influencing Western policy for its own ends. The revelation emanates from the release of hundreds of internal Monsanto emails by a US court. The correspondence shows the firm was involved in the writing of at least two ostensibly academic reports on glyphosate, which Monstanto sells under the trade name Roundup, with one employee admitting in an email the company wrote a study on the herbicide and later attributed the work to academics. In a February 2015 email, the firm's Head of Product Safety William Heydens proposes in-house scientists write a study, and independent academics "just edit and sign their names" to the document without disclosing Monsanto's involvement, an approach he dubs "ghostwriting." Subsequent emails suggest the firm had previously employed the tactic, saying it was "how we handled Williams Kroes & Munro." In another email, Monsanto toxicologist Donna Farmer says "you cannot say Roundup does not cause cancer." A separate glyphosate study was also "redesigned" with the help of company scientists, in order to create a more favorable outcome. 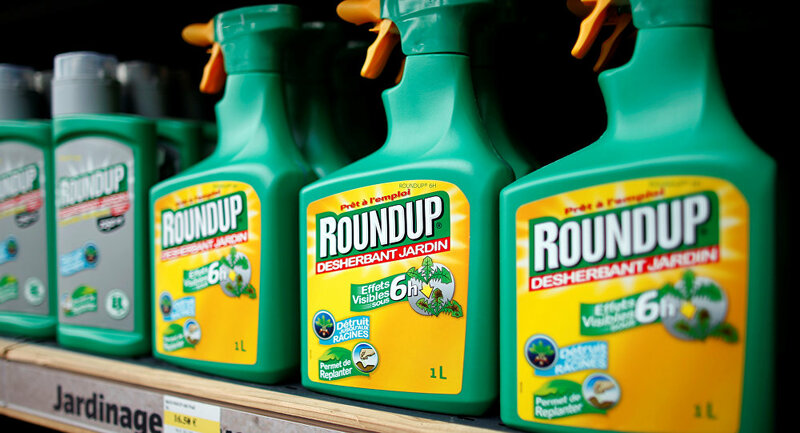 Both studies were used in 2015 by the European Food Safety Authority (EFSA) when it evaluated the safety of glyphosate in as part of the chemical's licence renewal process. EFSA's assessment was based on a report written by the German Federal Institute of Risk Assessment (BfR), which evaluated all available scientific literature on the herbicide. In one chapter of the BfR's report, the German agency uses the "ghostwritten" study to conclude the active ingredient glyphosate is "considered to be of low toxicological concern." ​EFSA concluded in November 2015, based on this evaluation, there was insufficient evidence glyphosate caused cancer in humans, and the chemical lacked the mechanism that would cause DNA damage in living cells and subsequent cancer in humans. The Monsanto emails indicate the studies in which it played a role deliberately ignored and played down glyphosate's deleterious health implications, with staff acknowledging the study "stretched the limits of credibility." To boost the report's legitimacy, the company hired Dr. David Kirkland, an independent toxicology consultant, and named him author. In response to the revelations, EFSA claimed it had investigated the matter, identified which reviews mentioned in the Monsanto emails were considered in its risk assessment, and assessed their significance. It concluded there were "no grounds" to suggest the studies improperly influenced the assessment. EU discussions on the renewal of the herbicide's licence, due to expire at the end of this year, will commence in Brussels soon — EU Agricultural Commissioner Phil Hogan, speaking at the European Economic and Social Committee on April 14, expressed hope the EU would renew the weed-killer's licence for a decade or more. The exposure adds further pressure to the embattled chemical firm, currently being sued by 225 individuals in San Francisco alone, who claim the firm's products cause non-Hodgkin lymphoma, a rare cancer. Claimants are either farmers who have worked with the weed-killer and fallen ill, or relatives of deceased agricultural workers. The basis for the claims is World Health Organization report, which concluded March 2015 that glyphosate is "probably carcinogenic." The company is also being sued by Washington State for damages and cleanup costs associated with toxic polychlorinated biphenyls, which it produced for decades despite knowing about the chemical's environmental and health risks. The divisive firm, which produced the notorious Agent Orange used by the US military in Vietnam, was furthermore booted out of Burkina Faso in March. Monsanto was one of the major beneficiaries of the controversial IMF loan agreement with Ukraine, which opened up the country for pillaging by major US corporations.